We need you. There are so many ways you can help. Contact Lindsay Oakley if you can volunteer time in our clinic. Mrs. Wingo needs volunteers to donate items to the AR store. Classroom teachers can always use a willing hand. You can help make the difference in the life of a child. Watch for PTO Volunteer Forms in your Little Panther's backpack. 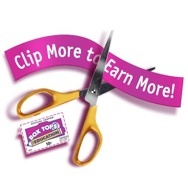 Another way you can help is by clipping and saving boxtops for education labels. A list of available products and boxtop info can be found here. You can also save My Coke Rewards points and donate them to our school.